To begin this new year by way of the cinema,our blog is again open and accessible in to all! 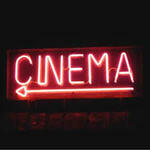 In this topic We will publish many informations on the past movies or released in the cinemas. We will also speak about most seen and best movies who wants to see again and again. Finally,summaries on these movies and posters will be put on our blog. I hope that you will appreciate this topic and that you will be opened out to read our articles. Last friday, we went watch a new movie : Babby-Sitting. 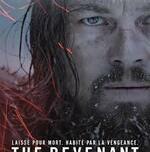 Some people, thought that movie is a coppy of Very Bad Tripe in french. but against all odds, that's not the case. indeed, the scenario is totaly different, it's a mixe between Very Bad Tripe and Projet X because most of scenes are film with a simple camera and they do a big party. why french can't make this type of film ? why when a movie like that came out in french rooms every people say " That just a pure coppy ! french can't do new things." remenber LOL, the french movie, americans loved it so they decided to make a remake, why didn't they just traduce the orriginal ? this is a real coppy af a french movie by americans, think about this. 2014 is about to be the year of Zac Efron ! The actor aged 26 we discovered in 2006 in the Disney production High School Musical is now a man. Even if he recently had some troubles with drugs, he's still one of the most appreciate actor of his generation. This year, you will see him in two funny movies : Neighbors and Are We Officialy Dating ? . The first one is about a brotherhood moving next to a quiet couple. The second tell us the story of three New Yorkers who promised each other to stay single until one of them fall in love. I hope you'll watch it because it is about to be really great. This film occurs to Los Angeles, in a near future. Theodore Twombly, a man sensitive to the complex character, is inconsolable following a difficult rupture. He then buys an ultramodern computer program. This program is able to adapt to the personality of each user. While launching the system, he becomes acquainted with 'Samantha', an intelligent, intuitive and surprisingly funny feminine voice. The need and the desire of Samantha grow and evolve, just like those of Theodore, and step by step , they fall in love. Her is a comedy of fiction of Spike Jonze, this film left on March 19th, 2014. This film was named for 3 prices and 13 nominations. This film is regarded as the best film 2014.